Expert Chatbot development company delivering greatness to businesses by enhancing user experience and business growth leveraging cutting edge technologies like Artificial Intelligence. Let’s Nurture is the leading Chatbot development company in India, USA, UK, Canada, Singapore and Australia providing flexibility to hire Chatbot developers with various engagement models. We provide highly cultivated and insightful intelligent chatbot solutions. Our Chatbot development services are for business communities who want their Chatbot to work in a very particular way. 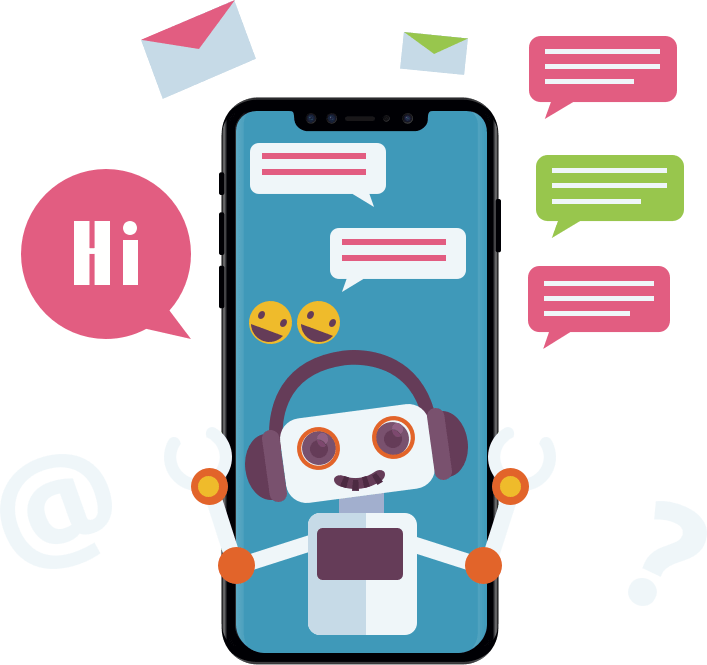 Our developers build completely customized Chatbots with presentation of knowledge, conversational abilities, context sensitivity, and personality traits with us. We minimize false positives and false negatives with a pre-processing techniques to handle common errors with dependency parsing, lemmatization, POS-checking etc. Our Chatbot developers help you build AI bots and deploy them across your enterprise. We work with cutting-edge technologies like DialogFlow, Wit.ai, Microsoft Bot Framework, IBM cognitive services, Rasa NLU, Pandorabots etc for Chatbot development. We also have capabilities to work with our own custom bot framework which is empowered with AI, NLP, and Machine Learning technologies. 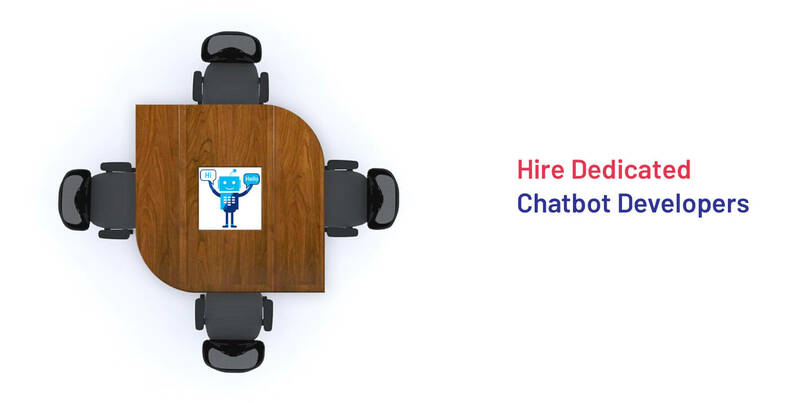 Hire Chatbot developers from Let’s Nurture who are well versed in working with latest platforms which support Chatbot functionalities like Facebook messenger, Slack, Skype, Telegram, KiK,Twilio and of course Web Chat. With 3+ years of experience in Chatbot development we provide services exactly tailored to meet your needs whether you are looking to build conversational bots, flow based bots or virtual assistant bots. To provide Chatbot application development services to our global clientele in the best manner, we provide Staff Augmentation Services with much needed flexibility that compliments our engagement model. Such flexibility allows us to communicate with our clients seamlessly and provide end-to-end enterprise solutions on small, medium or large scales. We offer onsite staffing services for Chatbot developers to clients and companies within the same geographical border to fill gaps in development cycle by frequent onsite visits or full-time presence at your place. We provide Chatbot developers staffing services for countries like US, Canada, India, Singapore and Middle East for regular review meetings, system deployment or ongoing IT project development. Hire and employ Chatbot developers to bring them at our offshore development center (ODC). We have client-oriented process in which our project managers will keep you in loop in communication channels with on-time reporting. Bots are becoming increasingly conversational, and better at imitating human behaviours. Our chatbot development services extend to all imaginable scenarios. We’ve worked multiple tech for data processing, Natural Language Processing (NLP) and third party integration, and have experience with open-source platforms. Hence, we can get you up and running in no time. Our team of Chatbot developers in Ahmedabad, India deliver best-in-class Chatbot solutions using cutting-edge AI technologies, NLP development kit and frameworks. When you hire Chatbot developers, you get a team who are specialized in a wide array of industry verticals catering to small, medium or large scale enterprises. The domains in which Chatbot solutions can be used to reduce the operational costs are given below. Use AI based Chatbot to reduce workloads and increase customer satisfaction with an always-on customer service Chatbot. Answering frequently asked questions and resolving customer queries can be easily done by Chatbot. Sales assistant: Your Chatbot can act as an assistant to sales personnel, by notifying them when they are assigned opportunities, simplifying lead creation and updates. Customer outreach is better when bots write the first reply. Chatbots can’t replace that client-agent relationship, but they can replace agents in answering general real estate questions. Keeping the pulse of your employees has never been easier. Answering common HR related questions is time consuming and boring for employees but an ideal job for chatbots. Chatbots or automated personal assistant will bridge the gap of personalization that customers face in online shopping. Shop with conversational commerce(Chatbot) to unlock more options, Set price alerts and Choose gifts. Use Chatbot to Book travel Book accommodation, Get advice on topics like where to visit, what to see. Let customers explore menu and order food from their assistant. Show open reservations at nearby restaurants and let customers instantly make restaurant reservations. Why to Hire Chatbot from Let’s Nurture? Our team of Chatbot developers is having ample experience in custom Chatbot development services and has delivered over 10 projects implementing them for various business needs. Chatbot developers possess average experience of 3+ years in working with the latest technologies and keep themselves updated with the upcoming bot frameworks to provide a robust solution. Our experts provide FREE consultation to understand and deliver thoughts before development cycle starts. This is to ensure to deliver right app solutions as per client needs. No resource would be assigned without your prior approval. Our flexible engagement models will give you authority to get new apps developed in less time with quick team scaling. We adhere to strict NC/ NDAs for all client projects. Our systems are enabled with advanced security parameters with CCTV surveillance to secure project’s information. We provide end-to-end Chatbot development services regarding consulting, strategic development and UI/UX design, Chatbot testing, delivery and deployment. Have an awesome idea? Hire Chatbot developers to convert into a stunning Chatbot! !